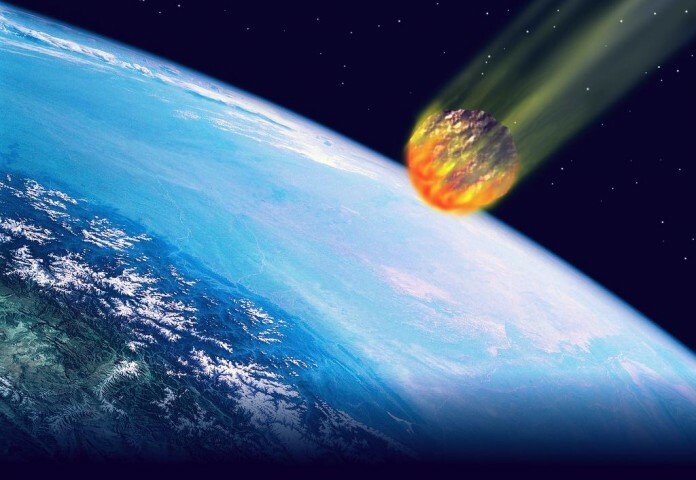 (INTELLIHUB) — Could the U.S. government be hiding an impending meteor strike from general populace? One man says yes. The man, who posted a video on YouTube Sunday, maintains that the U.S. government may be aware that there is a 50% probability that there will be “several meteor strikes” during this week’s Operation Gotham Shield 2017 exercise which is taking place in New York and New Jersey and that the exercise itself may be a cover to position a response. The man says that his friend has a 25-year-old son who works for the “New Jersey Emergency Management Team” that claims Operation Gotham Shield “has nothing to do with a nuclear strike” and that the military, “specifically the Army and the Air Force,” are preparing for potential “meteor strikes” in the region. According to the man, the source claims that he had ‘overheard’ a conversation between his superiors and members of the military talking about impacts that ‘could be equivalent to nuclear explosions around the size of 10 kilotonnes,’ as simulated in the Intellihub article titled: Over 13,000 deaths, 130,000 injuries, projected if this week’s Operation Gotham Shield’s 10 kiloton nuclear detonation goes live from Lincoln Tunnel. “I guess at this time we are going to have to sit this out and wait,” he said. According to the man, the source also cited “geomagnetic storms” as a potential threat as well which happens to correlate with reports of “upcoming solar flares” which could “wreak havoc on earth” on April 23 and 24.